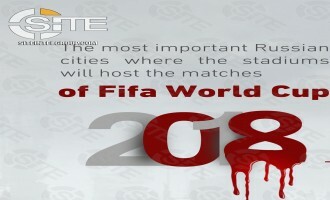 An Islamic State (IS)-linked media group published a poster identifying Russian cities hosting the 2018 FIFA World Cup and calling on lone wolves in the country to attack. 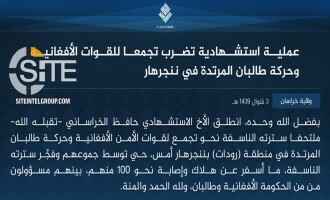 The Islamic State's (IS) Khorasan Province claimed killing and wounding nearly 100 Afghan Taliban fighters and Afghan security forces in a suicide bombing in Nangarhar, which the former regarded as a "mysterious explosion" in its own statement. 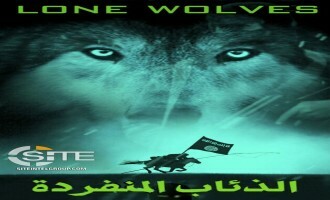 IS-linked Group Urges Lone Wolves Capitalize on Masses of Spectators for World Cup Matches in Russia and "Kill Them All"
Noting the presence of masses of spectators for the 2018 FIFA World Cup matches in Russia, an Islamic State (IS)-linked group urged lone wolves to "kill them all". 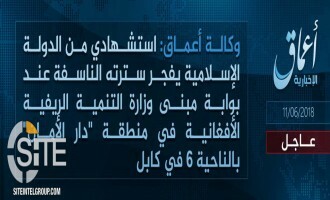 The Islamic State (IS) claimed killing a soldier and injuring others in an attack on an Indian Army checkpoint in Kashmir. 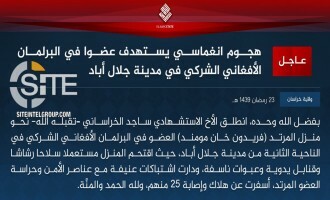 The Islamic State's (IS) Khorasan Province claimed a second suicide bombing within 24-hours on the Afghan Taliban and Afghan security forces in Nangarhar. 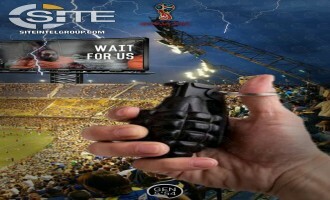 An Islamic State (IS)-linked group urged lone-wolf jihadists in the West and in Russia during the 2018 FIFA World Cup in particular, to carry out attacks and thus "double the joy" of Eid al-Fitr. Al-Bayda' Province, a division of the Islamic State (IS) in Yemen, released a video promoting jihad during the Islamic holy month of Ramadan and showcasing attacks on Houthis. 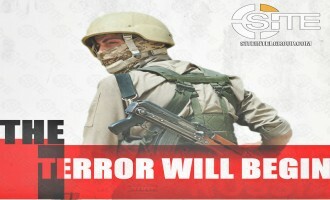 The self-proclaimed “emir” of the Islamic State (IS) in Kashmir urged Indian Muslims to execute lone-wolf operations, suggesting vehicular attacks in particular, and warned of an impending “bloody war”. 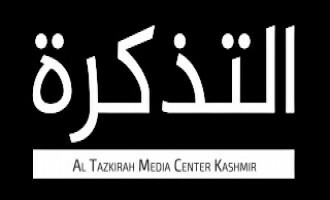 A pro-Islamic State (IS) group calling itself "Jundul Khilafah Kashmir" published newsletters assailing officials and security officials in Jammu and Kashmir, and a separate piece inciting against the JKCSS program coordinator. As the 2018 FIFA World Cup begins in Russia, Islamic State (IS)-linked groups and supporters are continuing their push for lone-wolf attacks during the event, such as one showing FC Barcelona star Lionel Messi as a prisoner. 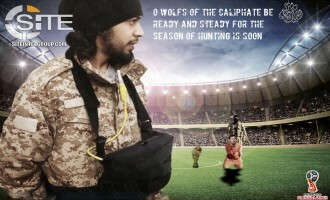 Using footage from the 2013 Boston Marathon bombing, and clips from a previously-released Islamic State (IS) production, an IS-linked group incited lone wolves to mount attacks during the upcoming FIFA World Cup in Russia. 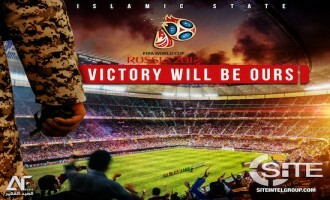 An Islamic State (IS) supporters prepared an incitement video to attack the 2018 FIFA World Cup in Russia and urged its distribution on social media. 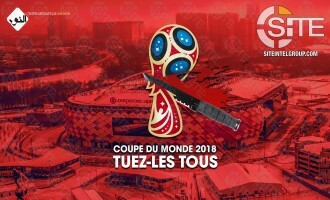 An Islamic State (IS)-linked group called on supporters to carry out lone-wolf attacks in a poster displaying a map of World Cup stadiums in Russia. 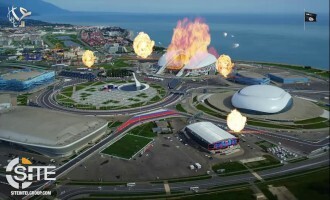 An Islamic State (IS)-linked group published a video depicting an attack on Fisht Olympic Stadium, one of the venues for the 2018 FIFA World Cup, and surrounding areas in Sochi, Russia. 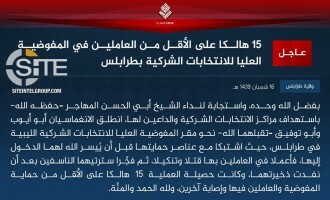 The Islamic State (IS) claimed killing 10 Filipino soldiers and wounding 15 others during clashes in Sulu province in the Philippines. 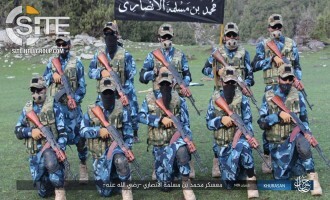 The Islamic State's (IS) Khorasan Province in the Afghanistan-Pakistan region published a photo report of graduate class of fighters from the "Abu Yusuf al-Khorasani" training camp. 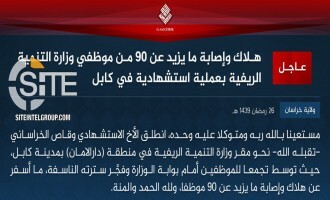 The Islamic State's (IS) Khorasan Province claimed killing and wounding 90 staff members of the Afghan Ministry of Rural Development in a suicide bombing at its building in Kabul. 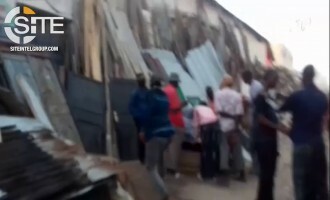 An Islamic State (IS) fighter in the group's Nigeria-based division, West Africa Province, noted the ample availability of goods and a pleasant atmosphere in the area during Ramadan despite an enemy siege, in Naba 135. 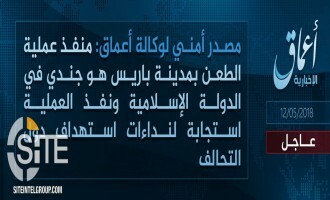 The Islamic State's (IS) 'Amaq News Agency reported that the group is responsible for the suicide bombing at the entrance to the Afghan Ministry of Rural Development in the capital, Kabul. 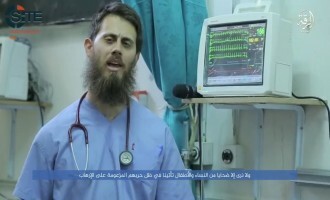 Islamic State (IS) supporters reported the death of Tareq Kamleh, an Australian fighter who had appeared in past IS videos and was nicknamed in the media as "Dr. Jihad". 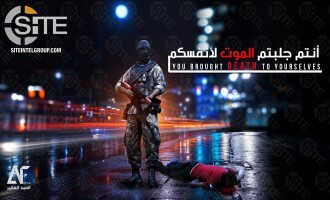 IS-linked Group Depicts Fighter on Street in Alabama to Threaten "Just Terror"
An Islamic State (IS)-linked group published a poster depicting a gun-toting fighter on a street in Alabama to threaten "just terror". The Islamic State's Barqah Province, which encompasses the east (Cyrenaica) and parts of the central (Fezzan) region of Libya, claimed two attacks on Libyan security forces within a one-week span. 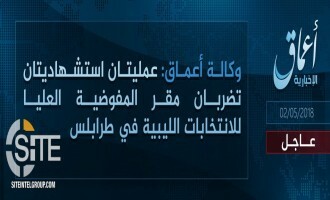 The Islamic State's (IS) Khorasan Province claimed credit for a suicide attack at the home of an Afghan parliamentarian in Jalalabad. 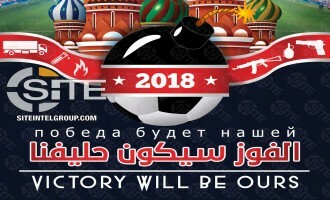 IS-linked Group Warns of Variety of Attacks at 2018 FIFA World Cup, Predicts "Victory"
Displaying a variety of attack methods, an Islamic State (IS)-linked group predicted "victory" for fighters in the 2018 FIFA World Cup in Russia. 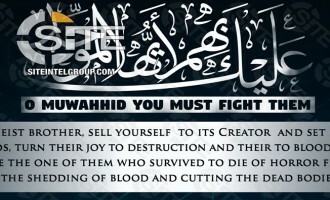 Noting that many "kuffar celebrations are yet to come," an Islamic State (IS)-linked group urged lone-wolf jihadists in the West to mount attacks and provided motivation from an article taken from the IS' Rumiyah magazine. 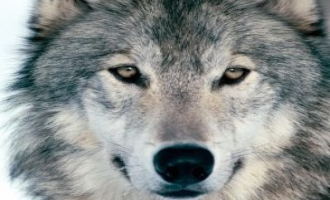 An editorial in the pro-Islamic State (IS) magazine “Anfal” demanded that Muslims all over the world take action as lone wolves and suggested means of financial support and spreading poison. 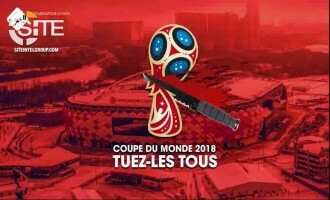 Amidst a propaganda campaign against the 2018 FIFA World Cup in which several pro-Islamic State (IS) groups have participated, a media outfit warned of an unprecedented massacre during the event. The Islamic State's (IS) 'Amaq News Agency released a video of a group fighter killing a Somali policeman in the Bakara market of the capital, Mogadishu. 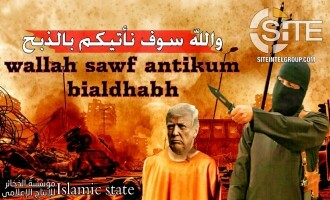 Islamic State (IS) supporters designed and published posters depicting U.S. President Donald Trump in different scenes, one as a prisoner, and the other as a decapitated head on a street in New York City. 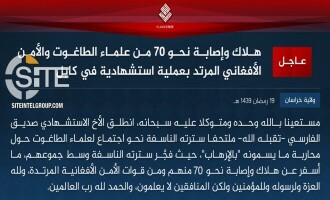 The Islamic State's (IS) Khorasan Province claimed killing and wounding 70 scholars and security elements in a suicide bombing near Polytechnic University in the Afghan capital, Kabul. 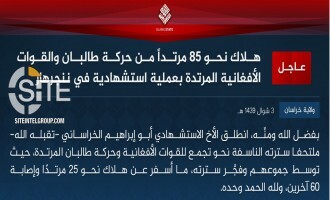 The Islamic State (IS) claimed two attacks outside its usual areas of operations, bombing a gas pipeline in Tunisia and detonating an IED on policemen in Chechnya. 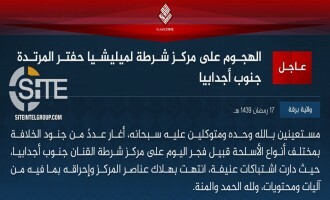 The Islamic State's (IS) 'Amaq News Agency reported that the group is responsibility for the suicide bombing on a gathering of Muslim scholars near Polytechnic University in the Afghan capital, Kabul. 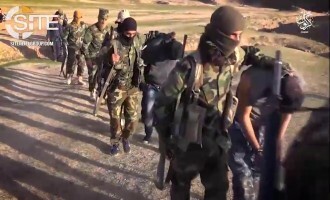 The Islamic State's (IS) Khorasan Province claimed killing and wounding "dozens" in a ten-man suicide raid on an Afghan Interior Ministry building in the capital, Kabul. 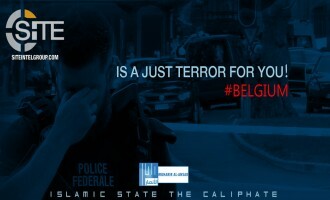 Two Islamic State (IS)-linked media groups separately promoted the May 29, 2018, attack in Liège, and threatened more IS-inspired strikes in Belgium. 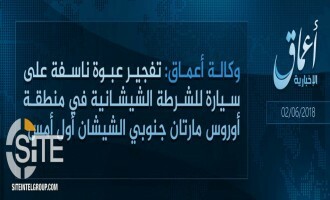 The Islamic State's (IS) 'Amaq News Agency reported the group's responsibility for a suicide raid the Afghan Ministry of Interior in the capital of Afghanistan, Kabul. An Islamic State (IS) supporter imprisoned in Albania is reportedly helping the group by means of providing translations of its newspaper infographics and getting them outside the jail. 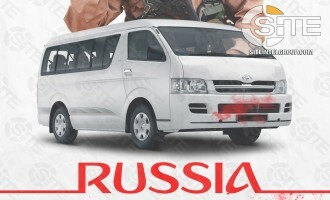 An Islamic State (IS)-linked group reiterated its warning of vehicular attacks in Russia ahead of the 2018 FIFA World Cup. Islamic State (IS) supporters behind a campaign to target Egyptian security forces, called on lone wolves in Egypt to kill or assault those forces as well as Christians in revenge for a blockade on civilians in Sinai. 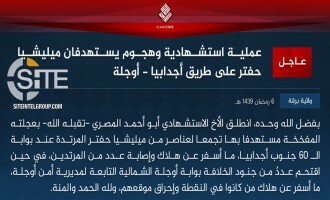 The Islamic State's (IS) Barqah Province in Libya claimed a suicide bombing by an Egyptian fighter on Libyan forces in Ajdabiya and also a raid on a security checkpoint in Awjila. 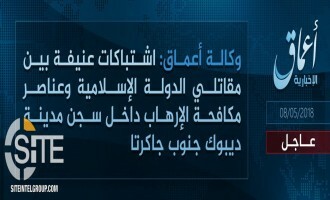 The Islamic State's (IS) Khorasan Province claimed repulsing a joint U.S.-Afghan raid on a position it holds in Kunar, Afghanistan. 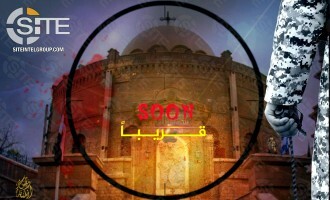 An Egypt-focused pro-Islamic State (IS) media group depicted the St. George Church in Cairo as a future target. 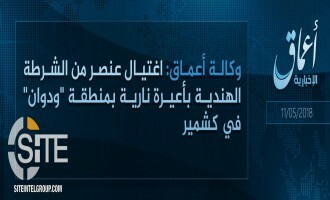 Homs Province of the Islamic State (IS) in Syria claimed a suicide bombing by an Uyghur fighter on Syrian soldiers and supporting forces in Tadmur (Palmyra). 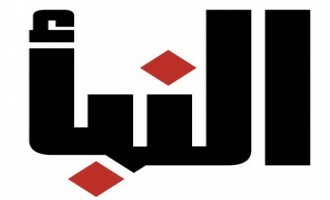 The pro-Islamic State (IS) "Muhajireen Foundation" launched a website on which it provides its material in Arabic, Dutch, English, German, Persian, and Turkish languages. 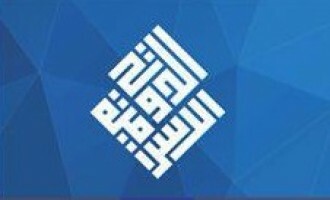 The group advertised the new website via Telegram on May 15, 2018. 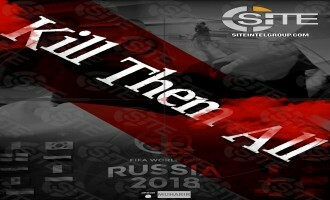 An Islamic State (IS)-linked media group published posters threatening the 2018 FIFA World Cup to be held in Russia beginning June 14, 2018. 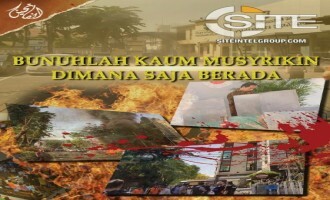 An Indonesian Islamic State (IS)-linked group relaunched "Al-Fatihin" magazine and released ten issues in the span of two months. 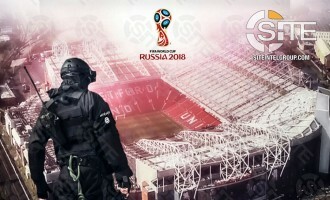 A media group supporting the Islamic State (IS) gave instructions for targeting "infidels" inside and outside stadiums during the 2018 FIFA World Cup in Russia. 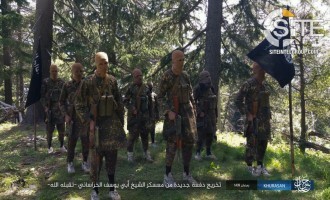 An Islamic State (IS) supporter called for lone-wolf attacks in the Kashmir Valley, listing “common targets,” including Hindus, police, and tourists. The Islamic State (IS) claimed killing 11 people and wounding 41 others in three suicide bombings on churches in Indonesia's East Java province. 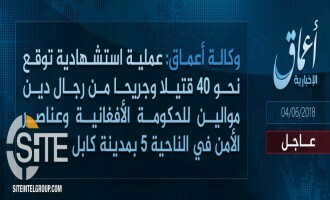 The Islamic State's (IS) 'Amaq News Agency reported that the group is responsible for three suicide bombings at churches in the Indonesian city of Surabya. 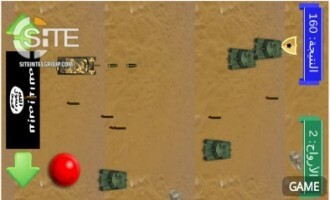 The Islamic State (IS) reported in Naba 131 that during a month of battles in Nigeria, its West Africa Province killed 95 soldiers from the Africa Multinational Joint Task Force (MJTF) and wounded hundreds of others. 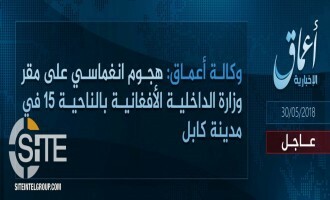 The Islamic State's (IS) Khorasan Province claimed credit for the killing of an Indian policeman in Kashmir. An Islamic State (IS)-linked group noted that due to the international makeup of spectators for the 2018 FIFA World Cup in Russia, a single strike will hit a great variety of foreign nationals. 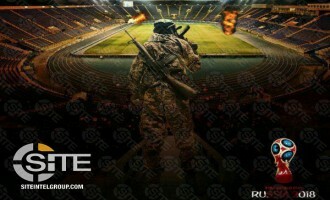 A pro-Islamic State (IS) group depicted Luzhniki Stadium, one of the sites of the 2018 FIFA World Cup, in flames and Russian President Vladimir Putin and Portugal national team player Cristiano Ronaldo as IS prisoners. 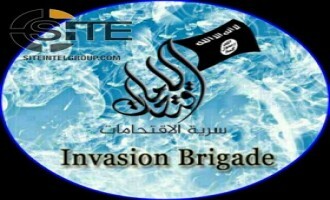 IS Supporter Encourages Video Game Development to Serve "Caliphate"
An Islamic State (IS) supporter encouraged the development of video games to serve the group's "Caliphate". 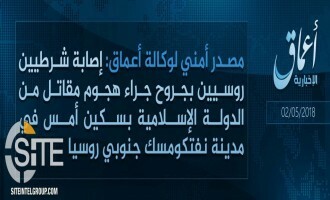 The Islamic State's (IS) West Africa Province reported that its fighters repulsed a Nigerian military offensive in Kirenowa in northeast Nigeria. 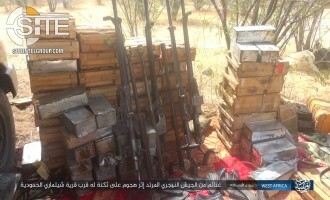 The Nigeria-based West Africa Province of the Islamic State (IS) published photos of war spoils its fighters seized following an attack across the border in Niger's Diffa region. 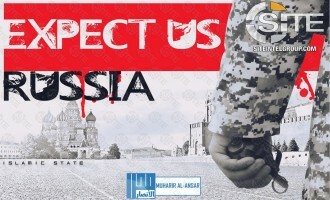 Two graphics designed and distributed by an Islamic State (IS)-linked group threatened attacks to come in Russia, one showing Russian President Vladimir Putin as a dead IS captive. 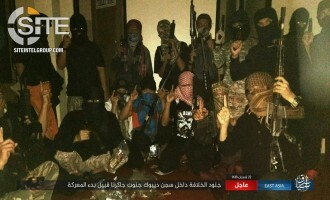 The East Asia division of the Islamic State (IS) reported on the ongoing clashes inside the Depok city prison in the Indonesian capital, Jakarta, and provided photos of fighters and seized weapons. 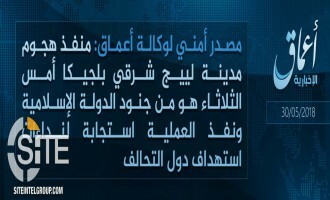 The Islamic State's (IS) Barqah Province in Libya claimed credit for a suicide bombing on a military checkpoint in eastern Sirte. The Islamic State's (IS) 'Amaq News Agency reported that fighters have engaged in a clash with Indonesian anti-terrorism police inside a prison in Jakarta. 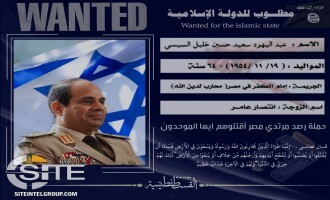 An Islamic State (IS)-linked group designed and distributed wanted posters for Egyptian President Abdul Fattah al-Sisi and soldiers and intelligence agents. 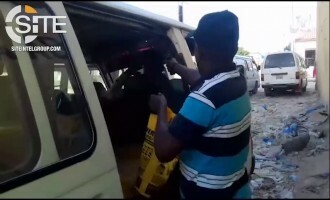 'Amaq News Agency released a video of an Islamic State (IS) fighter assassinating a Somali intelligence agent in Bakara market in the capital, Mogadishu. 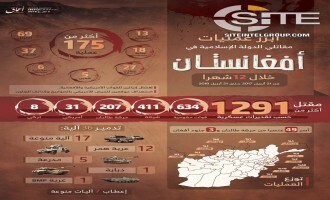 The Afghan Taliban and the Islamic State (IS) each posted military statistics for their attacks in Afghanistan for similar timeframes, covering April 2017 through April 2018. 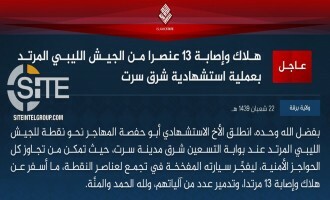 IS Claims Bombing Oil Facility Guards in Libya, Ambushing Soldiers in Naba 130 "Exclusive"
The Islamic State (IS) claimed bombing oil facility guards and ambushing Libyan soldiers in Libya's Wahat district in a Naba 130 "exclusive". 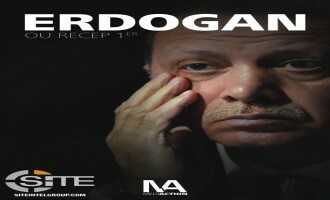 The editors of a French-language pro-Islamic State (IS) magazine published an article urging Turkish President Recep Tayyip Erdogan to accept the IS' "Caliphate" or face disgrace like Mohamed Morsi. 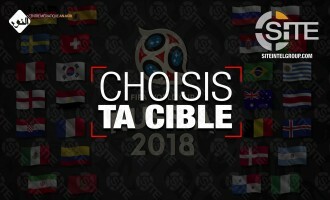 An Islamic State (IS)-linked French media group incited supporters to attack the 2018 FIFA World Cup in Russia. 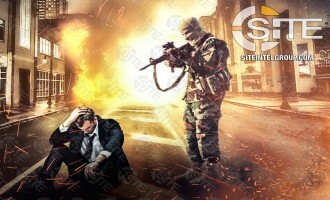 Islamic State (IS)-linked groups threatened random attacks in the cities of Western countries, with one depicting an explosion on a city street in Vancouver, British Columbia in Canada. 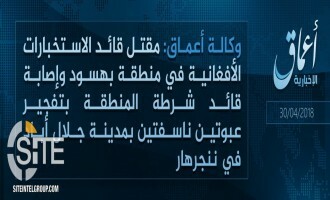 The Islamic State's (IS) 'Amaq News Agency reported that a group fighter stabbed two Russian policemen in Neftekamsk, a city in Bashkortostan in Russia. 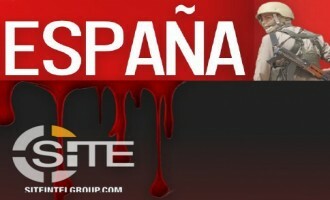 An Islamic State (IS)-linked group threatened Spain in a poster featuring the Sagrada Família church in Barcelona. 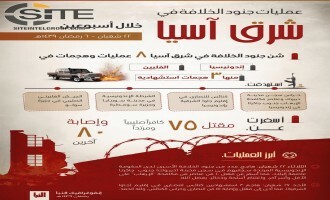 The Islamic State's (IS) Tripoli Province claimed credit for the two-man suicide raid inside the Libyan High Election Commission and declared that it came in response to the recent speech of the group's spokesman to hit election centers and activists. 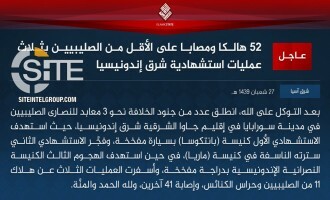 The Islamic State's (IS) 'Amaq News Agency reported that the group is responsibile for the twin suicide bombings inside the Libyan High National Election Commission in the capital, Tripoli. 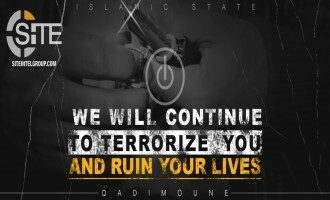 A new Islamic State (IS)-linked group threatened future attacks in European cities and Russia, and showed an apocalyptic future for America after IS strikes it. 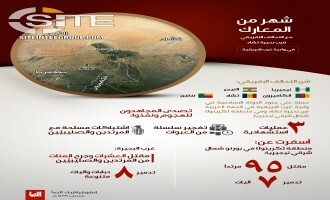 'Amaq News Agency published an infographic on Islamic State (IS) suicide bombings on headquarters of the Afghan intelligence in the past four months. 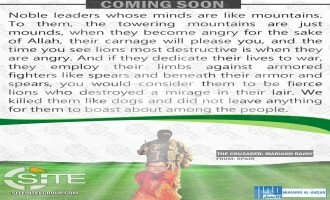 An Islamic State (IS)-linked group provided justifications for attacking "Crusaders" in their own countries in the West. 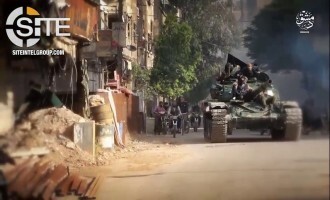 The Islamic State’s (IS) Damascus Province reiterated its call to fighters in Hay’at Tahrir al-Sham (HTS) and Syrian rebel factions to break ranks and join its group, arguing in a video that these rebels are sparing the Syrian regime from strikes it should be dealt. 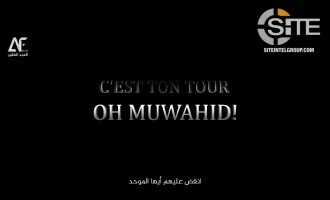 An Islamic State (IS) supporter eulogized a group fighter and former AQIM member who was killed in Médéa province in northern Algeria. The Islamic State's (IS) 'Amaq News Agency reported that fighters killed an Afghan intelligence commander and police chief in two bombings in Jalalabad, the same day the group deployed two suicide bombers to strike an Afghan intelligence headquarters in Kabul. 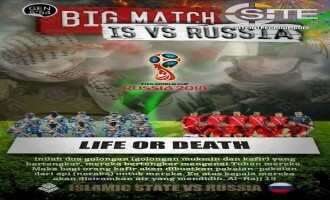 Pro-IS Indonesian Group Portrays 2018 FIFA World Cup as "IS vs Russia"
A pro-Islamic State (IS) Indonesian media group that had previously threatened attacks to come during the 2018 FIFA World Cup in Russia published another poster portraying the event as "IS vs Russia". 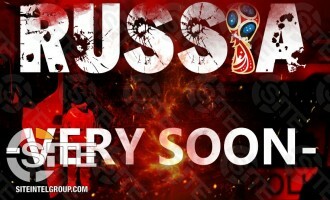 A pro-Islamic State (IS) Indonesian media group threatening attacks to come during the 2018 FIFA World Cup in Russia. 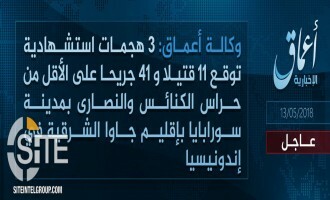 The Islamic State (IS) reported in Naba 129 that fighters on Basilan Island in the Philippines stormed the homes of "apostates" and killed them. 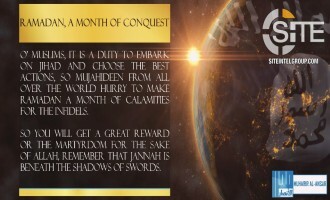 With Approach of Ramadan, IS-linked Group Calls for Jihad, "Month of Calamities"
As Ramadan approaches, an Islamic State (IS)-linked group rallied fighters all over the world and called for a "month of calamities for the infidels". 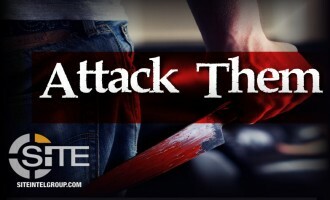 After the recent speech in which the Islamic State (IS) spokesman called on supporters to attack Russia, and coming amidst its own campaign threatening the country, an IS-linked group warned Russia of attacks to come. 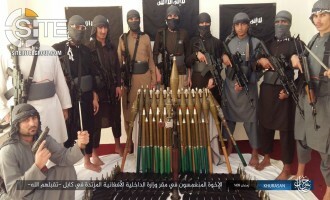 The Islamic State's (IS) Khorasan Province published photos from its "Muhammad bin Maslamah al-Ansari" training camp. 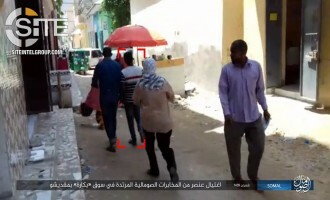 The Islamic State (IS) published photos showing the assassination of a Somali intelligence agent in the Bakara market in Somalia's capital, Mogadishu. The Islamic State (IS) reported that its fighters killed at least 37 Syrian soldiers while repulsing their attempts to advance on their positions in southern Damascus, and portrayed the battle as one of deterring Iranian influence over Sunni areas.